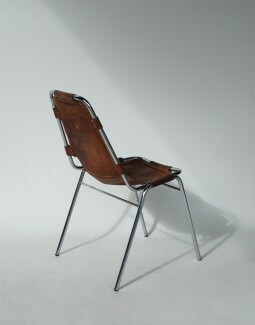 This is an iconic chair and quite rare. 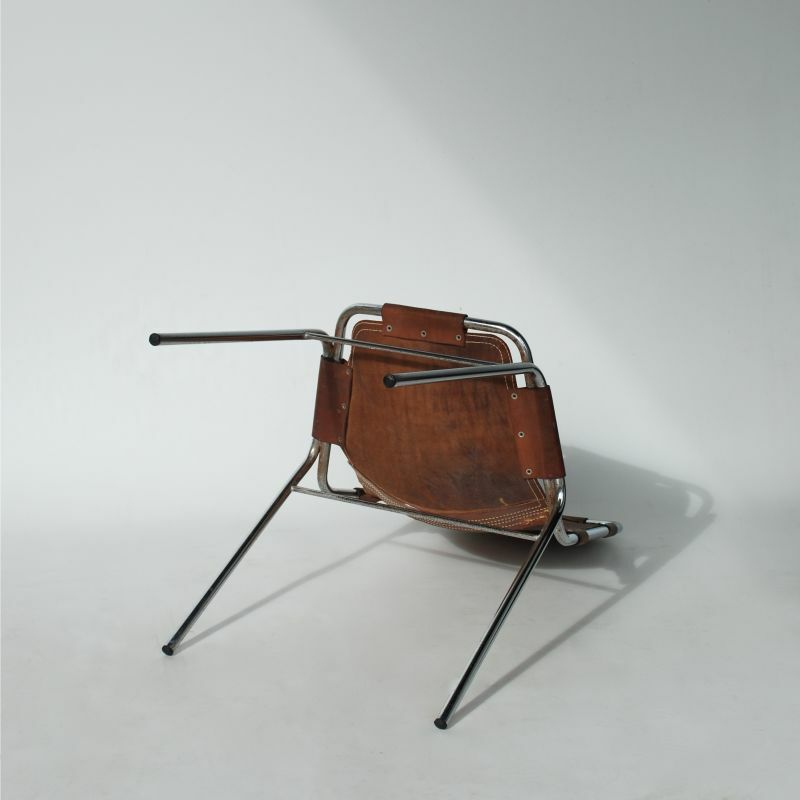 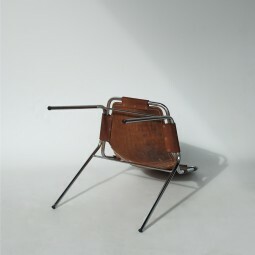 It was designed by Charlotte Perriand in the 1960s for Les Arcs Ski Resort. 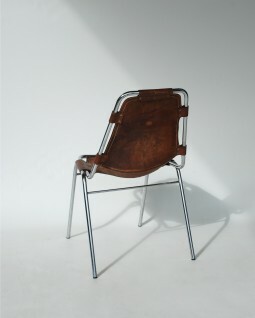 Perriand and Le Corbusier worked together on the project. 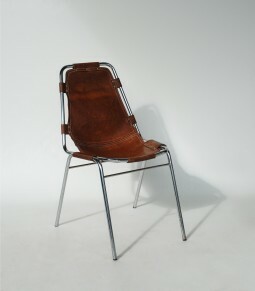 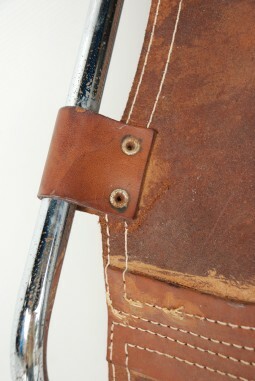 The chair is constructed in tubular chromed steel with slung buffalo tan leather secured with stitching and rivets. The leather has developed a beautiful colour and patina, but as you can see in the photos there is a small tear - this would need a repair with some extra stitching. 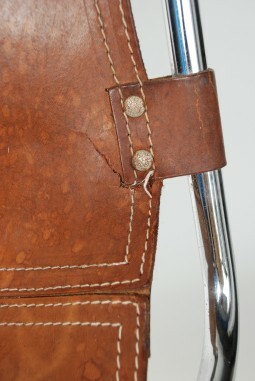 19 inches wide, 24 inches deep and 32 inches high. 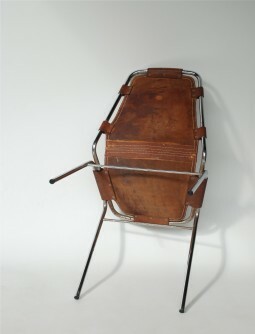 49 cm wide, 61 cm deep and 82 cm high.